We are all on a journey of experience and learning; sometimes we just need a little help from our friends. Michael Palitti is a proud Olympian with a number of medals and trophies to his name. He has been involved with the Special Olympics since 2000 and competes in several sports but his favourite is floor hockey. Michael is also part of the Community Living Program – Life Skills at Communitas where he meets with Glen Olson once a week. Together they set goals for Michael such as keeping his apartment tidy and improving his time management. Glen has known Michael for years and admires the way he has taken on the challenges of life with the same determination with which he approaches his sports. Michael lives independently and keeps busy with day services, volunteering, work and, of course, training for various competitions. 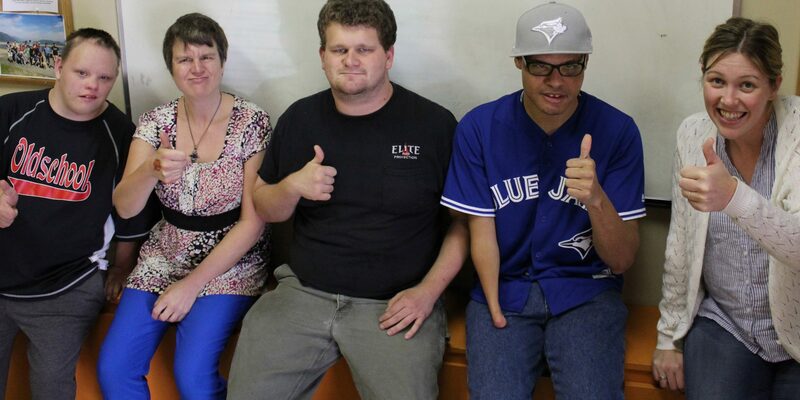 CLP – Life Skills provides support and life-skills training to individuals who want to be active in their community. Through classes and one-on-one support, individuals learn social, personal and domestic skills. Staff support clients in new situations and help clients build a network of support people within the community. Regular meetings provide opportunities for encouragement and to talk about challenges. Community Living Program – Employment – helping individuals gain skills and experience needed to find meaningful, paid employment. A referral from Community Living British Columbia (CLBC) is required to participate in this program. Contact us for more information!